The Theatre Royal in Glasgow is a beautiful theatre still undergoing some refurbishment so be aware you may need to use the porta cabin toilets outside but these are clean and well maintained. The theatre staff are really friendly and approachable. Lovely touches such as iced water available on the bar. The theatre is just off Sauchihall Street and we took about 15 minutes to walk from Glasgow Central train station. It would be about ten minutes from Queen Street station. Parking nearby at Buchannan galleries and plenty buses serve the theatre. The play starts with some brilliantly atmospheric music and the curtain goes up showing a stunning set depicting beautifully a library in the roaring twenties. The set is very well done, not too cluttered but with plenty attention to detail making it look absolutely gorgeous. Black Coffee is essentially a love story with Poirot striving to get to the truth to prevent any further catastrophes in his attempt to solve the murder of the tyrant. Of course everyone has a motive and opportunity in true Agatha Christie style. The play is in three acts. I found the first act really short but it was probably the best place to make the break as it was essentially setting the scene and showing us the ever important murder. The performance included two 10 minute intervals and last 2 hours and 15 minutes. The cast were all very strong. Jason Durr made the character of Poirot his own. I was worried as a huge fan of David Suchet’s Poirot that I would be making comparisons throughout but I wasn’t. He really captured the character and all his idiosyncratic moves and created great rapport with the audience with small looks and raised eyebrows. He delivered some brilliant one-liners with a Scottish joke going down particularly well with the Glasgow audience. Captain Hastings (Robin McCallum) was excellent obviously taking his lead from the TV show but injecting enough personality to differentiate between the two. I particularly enjoyed his rapport with the victim’s niece Barbara (Felicity Houlbrooke). The two had great chemistry. Inspector Japp could have stepped out the television screen so like the TV character but he is a favourite of mine so this was forgiven. 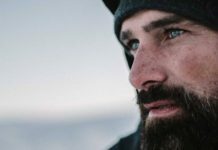 Eric Carte played the part very well. Caroline Amory played by Deborah Grant was acted superbly and injected an element of humour to the play. Lucia Amory (Georgina Leondis) and Richard Amory (Ben Nealon) were well cast and worked well together as the couple who suspected each other of the murder and would go to any lengths to protect each other. Oliver Mellor played Edward Raynor the downtrodden secretary brilliantly and Gary Mavers played the mysterious Dr Carelli to perfection. Martin Carroll was fabulous as the butler and both Tom McCarron and Derek Howard played their constable and doctor parts very well. The costumes were exquisite with beautiful dresses and shoes. The hair and makeup was fabulous. “You can never have too much red on your lips as you don’t know how much will come off in the taxi home” one of my favourite lines of the evening. The lighting and sound was atmospheric and moody. 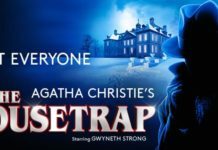 This is a fantastic adaption of a Poirot classic and I am sure Agatha Christie would be very pleased with the whole production. I would thoroughly recommend this play to everyone Poirot fan or not. Tickets cost from £11.90 to £37.90 (plus £2.85 transaction fee). 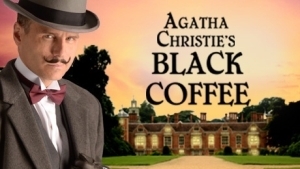 Agatha Christie’s Black Coffee is at the Theatre Royal in Glasgow until 8 November 2014. 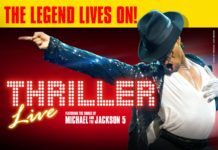 For more information or to book tickets click here or call the box office on 0844 871 7647.